Another grasp at something to fill the void orange petunias left in our hearts. Coral pink blossoms adorned with rosy red veining. This series boasts a vigorous yet compact, rounded form with a full canopy of velvety trumpet-shaped blooms. 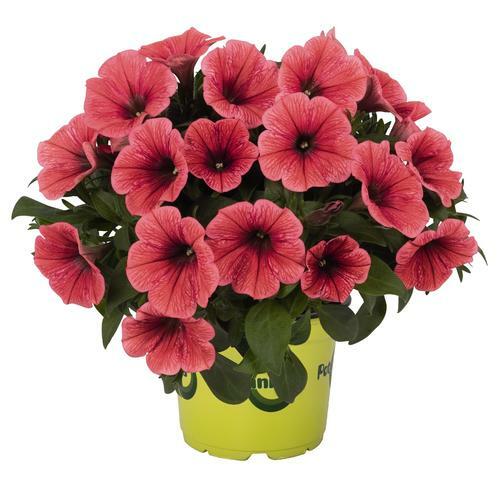 Heat tolerant plants continue to produce blossoms when other petunias have flagged in the heat. Ideal for baskets, planters and the landscape.